Best night of pro career: Castaño is most pleased with a fifth-round stoppage against the seasoned American journeyman Marcus Upshaw last summer. Worst night of pro career: Castaño was given the opportunity to perform on the undercard of Leo Santa Cruz-Abner Mares in August 2015. The fight ended because his opponent was disqualified for constant low blows. 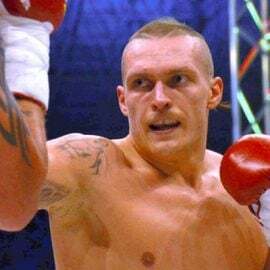 Next fight: On Saturday he faces RING-rated junior middleweight Michel Soro over 12 rounds at Casino d’Evian in Evian les Bains, Haute-Savoie. Although it would appear an even matchup (or even a tall task for the Argentine given Soro’s experience – 30 wins in 32 por bouts) on paper Castaño’s father is confident his son can secure the victory. Each would appear to be the best that either has come across in the pros. Soro, 29, lives in Villeurbanne, France but is originally from the Ivory Coast. 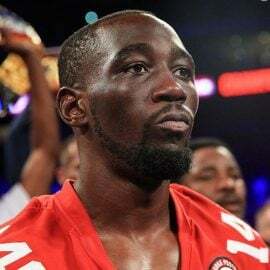 During his nine-year pro career he’s moved his record to 30-1-1 (20 KOs), the lone loss was to five years ago in a WBO 154-pound title fight against Zaurbek Baysangurov. Despite dropping the champion in the second round he lost a respectable unanimous decision. 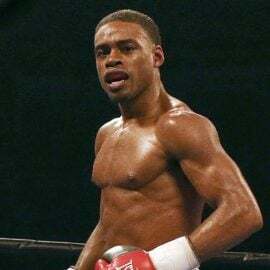 Since then Soro has won 12 out of 13 fights, the blemish was a draw against Antoine Douglas in America. 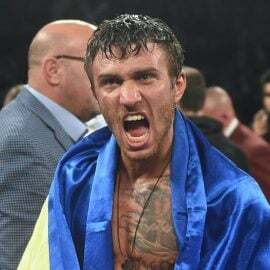 He has beaten Glen Tapia (TKO 4), Emanuele Blandamura (KO 8) to win the European title and last time out he stopped Castano’s countryman Javier Maciel (TKO 3). 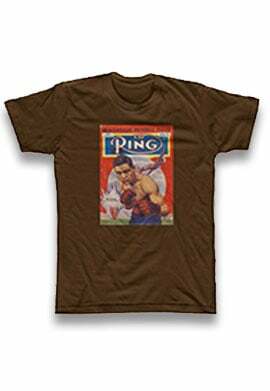 Soro has long been ranked in the top 10 by THE RING magazine and currently resides at No. 7. This is an acid test for Castaño against the danger man of the division. Why he’s a prospect: Castaño is arguably the most gifted Argentine boxer to come along in many years. Prior to turning pro in 2012 he operated at a high level internationally as an amateur. He fought at the 2009 World Championships in Milan, Italy, losing in the third round to eventual gold medalist Jack Culcay (14:5). The following year came “El Boxi’s” best result when he won gold at the South American games and bronze at the Pan-American games. He failed to make the 2012 Olympics, losing a qualifying bout to Oscar Molina. The Derevyanchenko victory was one of three in the WSB (World Series of Boxing) he earned representing the Argentina Condors. Since making the transition to the pros he’s sparred many top guys including the aforementioned trio of Mosley, Porter and Quigley. Castaño has an exciting come forward style that will endear him to fans. He currently holds the WBA interim title and so isn’t rated by any of the sanctioning bodies at this point. If he can turn back the challenge of Soro he’ll be in line to face full WBA titleholder Erisandy Lara, possibly later this year. “Castaño was certainly the most outstanding prospect in Argentina back in 2012, when he was getting ready to turn pro after a long and fruitful amateur career,” explained Morilla. “He was among the first fighters to join the Condors, Argentina’s national team to compete in AIBA’s World Series of Boxing. Why he’s a suspect: There’s little to dislike Castaño who has looked razor sharp in sparring for the Soro fight. However, according to Morilla in mid-2015, disaster struck and threatened to curtail his career. “Castaño collapsed during a morning run and was diagnosed with severe dehydration, and an arrhythmia was also diagnosed during his recovery as well as other undisclosed ‘organ failures.’ It certainly look that this was the end of the road for him. 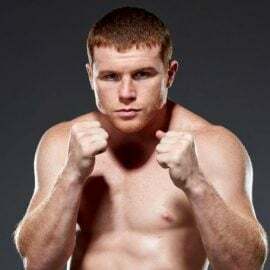 “Soon thereafter he ended his relationship with promoter Osvaldo Rivero and moved to the US to train and fight as part of Sebastian Contursi’s stable, showing signs of recovery and racking up four wins. “His talent is still there, but his aggressive boxing style demands an amount of energy that his body may not be able to sustain. He is a tad short for the division, and his weight problems may haunt him once again. 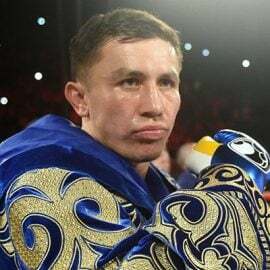 But the real problem is whether he emerged well enough from his health problems to continue fighting at the top level with such a physically demanding boxing style. Storylines: He was born and grew up in Isidro Casanova district of Buenos Aires, Argentina. He is one of six children, and has two brothers and three sisters. He enjoyed his childhood and didn’t suffer the hardships some boxers do. He first came into contact with boxing as a seven year old and has fought ever since. His younger brother Alan, is also a pro boxer. He sports a record of 12-0 (7 KOs) but isn’t as advanced as his elder sibling. He claims his father – who also boxed – was his boxing hero. He also likes Sugar Ray Leonard and Miguel Cotto. Away from boxing he is engaged, has no children and focuses much of his time on boxing. He likes to teach boxing to youngsters in his homeland.